You can pay your premiums on time for years, but when you actually bring a claim under your policy, the insurance company suddenly acts like it doesn't know you. You get the runaround or your claim is simply rejected. Or perhaps worse, they sweet-talk you into settling for much less than your claim is worth. If your legitimate insurance claim has been delayed, denied or lowballed, you will need skilled representation to fight for your rights. The New Jersey civil litigation attorneys of Scura, Wigfield, Heyer & Stevens, LLP, have extensive experience in insurance litigation, including lawsuits for bad faith denial of claims. Contact us today to arrange a free consultation at our offices in Wayne, Hoboken or Elizabeth. 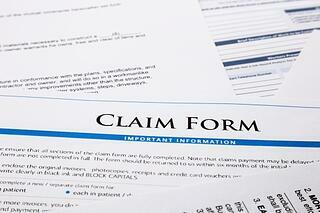 At no cost, we will examine the terms of your policy to determine your rights and your legal remedies. We routinely convince them to reverse their coverage denials, drop their slow-pay tactics or increase their lowball settlement offers. We are prepared to go to court to hold them to their obligations under the policy. When there is evidence of intentional, systematic or arbitrary denial of legitimate claims, we have pursued insurance bad faith lawsuits against insurers. If the insurance company is found to have violated the claimant's rights under the laws of New Jersey, the company may have to pay the claim, plus attorney's fees, plus treble damages (triple the amount of the original claim as punishment). If you believe you are being cheated or mistreated by your insurance company, call us today at 973-870-0434 or contact us online to arrange your free initial consultation. Our lawyers practice in Passaic, Bergen, Hudson, Union, Middlesex and surrounding counties of New Jersey.